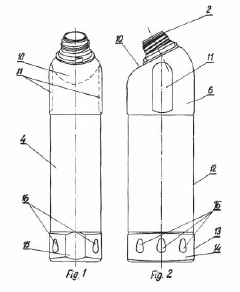 The Polish Patent Office invalidated the registration of the industrial design “bottle with cap” Rp-2543 owned by Zakład Produkcj Opakowań Rosiński i S-ka sp.j. The request for invalidation was filed by Unilever, which claimed that the design infringes on its 3D trade mark R-134678. 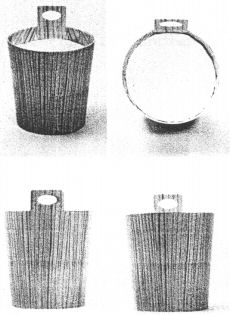 This 3D trade mark has the form of a bottle for liquids and it was registered on 20 March 2002 (with a priority of 29 January 1999) for goods in Classes 03 and 05 such as detergents, preparations and substances all for laundry use, fabric conditioning preparations, bleaching preparations, cleaning, polishing, scouring and abrasive preparations, soaps, deodorants for personal use, hand washes disinfectants, sanitary preparations, preparations for destroying vermin, insects and noxious animals, fungicides, germicides, bactericides, parasiticides, algicides, insecticides, weedkillers, deodorants, other than for personal use, air freshening preparations, insect repellents. The decision of the PPO was uphold by the Voivodeship Administrative Court. Rosiński filed a cassation complaint and the Supreme Administrative Court agreed with the Polish company and returned this case for reconsideration. 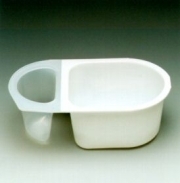 The PPO will again decide on the invalidation of the industrial design in question. Meanwhile, during the battle over the industrial design, Rosiński requested the Polish Patent Office to decide on the lapse of the right of protection to 3D trade mark R-134678. Rosinski claimed that the 3D mark in question must be treated, as the so-called weak sign. 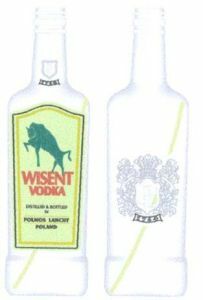 A bottle as such, is not, remarkably original shape significantly different from other packaging that are available on the Polish market for liquid toilet cleaners. Rosinski emphasized that the registered form of a trade mark significantly differs from the form that is actually used. Only the label, take than 50% of the bottle, and it is insignificant part of a packaging, that attracts attention of the buyer. Rosinski also noted that Unilever cannot argue and prove that the use of the mark in the form without additional elements is genuine use if the actually used a form of a registered trade mark (with labels) was subject to a separate registration (word-figurative trade mark Domestos SPRING FRESH THICK DISINFECTING CLEANER KILLS ALL KNOWN GERMS R-155952). Rosiński added that while the request does not seek to challenge the general idea of registrability of 3 dimensional trade marks such as the shapes of packages. However, such registration has its consequences. While, Unilever was allowed to register its bottle, and as a rule all the other manufacturers are allowed to do, these are weak signs, because such registration does not break the idea of a bottle for fluids. Unilever argued that Rosiński has no legal interest (locus standi) in requesting the lapse and presented a series of evidence on the genuine use of its 3D trade mark. The evidence included market research of 2009 on the knowledge of the DOMESTOS bottle shape amongst consumers, annual (1999-2000) spendings on television advertising of Domestos, black and white and color prints of television commercials, CD with TV ads recorded on it, color printings of press advertisements, series of judgments issued by French and German courts that were consistent with Unilever’s arguments. The Adjudicative Board of the PPO composed of five members (usually the board decides a case in a panel composed of the chairman and two members of a board, but five members’ board may be appointed for hearing complicated cases) in its decision of 20 December 2010 case file Sp. 457/08 ruled on the lapse of the right or protection because of non-use in the form in which the trade mark has been registered. The PPO agreed that Rosiński presented clear evidences on locus standi. All legal actions initiated by Unilever were directed against Rosiński’s freedom of business activity and this justified the request to the PPO to decide on the lapse. The PPO held that all submitted materials do not themselves constitute evidence of the genuine use of a bottle with a red cap without a label. Unilever did not show the place and time, extent and nature of use of its trade mark based on specific and objective evidence. The PPO noted that Unilever is the holder of other trade marks that have the same shape, especially word-figurative trade mark R-155952 and R-107207, IR-787372 and IR-798868 and according to the case-law, if there is a registered form of the trade mark with a label and it is genuinely used, then one cannot argue about the genuine use of another registered trade mark that lacks these additional elements. 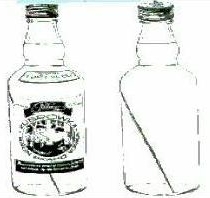 The PPO also ruled that evidence in the form of private public opinion research was dated on 2005 and did not constitute direct evidence of the genuine use of a green bottle with red cap but rather it tried to prove the renown of another trade mark with a label. Also, according to the case-law of the Polish Supreme Administrative Court, the reputation of a trade mark does not preclude the issuance of a decision on the lapse of this trade mark. The PPO ruled that frames from the TV ads and print ads were poor quality and were not in any way dated, It was also not proven whether the TV ads were aired in Poland. There has not also been proved that these ads were even broadcasted. As regards the print ads there were not provided titles of newspapers that the ads appeared nor numbers or dates of editions, and often other bottles of Domestos product appeared in these materials. Judgments of foreign courts that were submitted in this case are not very important considering that the law under which they were issued is not valid and binging in the Republic of Poland and each case before the PPO is examined individually based on specific facts of the particular situation. Also it was difficult for the PPO to consider these decisions to be persuasive, becasue the 3D sign must retain its individual character and it needs to designate the origin of goods and in this case Unilever had other trade marks of the same shape. Therefore, in the opinion of the Polish Patent Office, Unilever has not produced evidence of the genuine use of the 3D trade mark R-134678 on the Polish territory during an uninterrupted period of five years after the date of the decision to grant a right of protection. This decision is not final yet. A complaint may be filed to the administrative court. HT goes to Grzegorz Pacek. 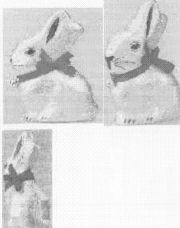 Categories: 3D trade mark | Art. 169(1)(i) IPL | genuine use | non-traditional trade marks | non-use | Polish Act on Industrial Property Law | Polish institutions | Polish law | Polish Patent Office | product packaging | similarity of signs | trade mark lapse | trademark law.